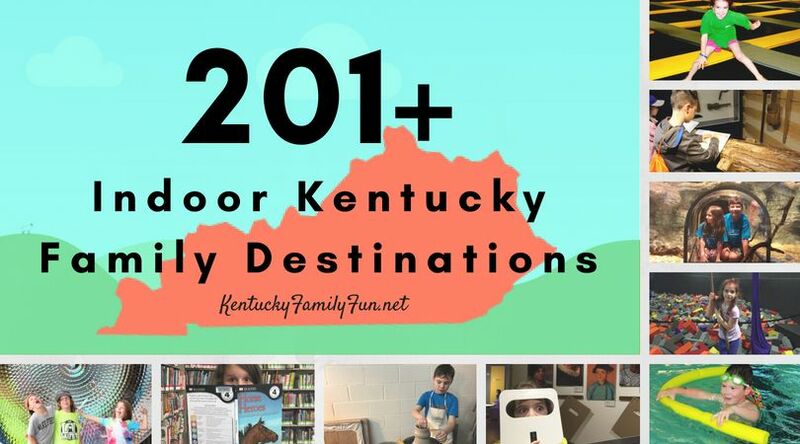 Family Fun in Kentucky doesn't have to cost a lot. In fact we found some places that are downright affordable! Save this list for a rainy day and surprise your kiddos! 1. Were you the slow skate master? The speed skate champion? Take your kids to the Fun Dome in Florence and show them what you've got! Saturday and Sunday afternoons you can skate for $5 per person. On Wednesday nights you can skate for $3 per person! 2. The Bardstown Civil War Museum is a great place for you to take budding civil war buffs! The cost is $5 for children, and slightly more for adults. 3. The Lincoln Museum is really affordable at just $2 per person. It is always important to study our past to see where we might be headed. 4. The Salato Wildlife Education Center (*note the center closes during the winter) the cost is $2 for kids and $4 for adults. They have indoor exhibits as well as outdoor exhibits. 5. At Kart Kountry one ride ticket is $5, and their course is 1.5 miles so while it isn't something to fill up your whole day it is a nice thing to do as a diversion. 6. Did you know that Florence is home to the Behringer-Crawford Museum? The museum is dedicated to educating people about Northern Kentucky's history. Admission for children is $4 and adults are $7. 7. To play mini golf at the World of Golf it is $5 for kids 11 and under and any one 12 and up is $7. 8. At Blazer's Fun Zone you kiddo's can have two attempts at their rock wall attraction for $3.50. They have some other options at Blazer's but they are over our $5 mark, but not by much. 9. Kentucky Action Park has miniature golf that is $5 a game for adults and $4 for kids. 10. Travel on down the tracks to the Paducah Railroad Museum. Kids are $2 and adults are $5. 11. Also at Kentucky Action Park you can ride the Alpine Slide for $5 for the first ride and $4 for the additional rides. 12. Check out the toy train museum called Nostalgia Station in Versailles admission is free for kids and just $2.50 for adults. 13. Tour the house made of coal in Middlesboro. The admission is free, but it does house the city's chamber of commerce. 14. Do you have a burning desire to learn about coal mining (see what I did there?) Take a trip to the Kentucky Coal Mining Museum in Harlan county and learn the facts! 15. Did you know that there is a Mammoth Cave Wildlife Museum? It is $4.95 for kids to get in, adults are slightly more. 16. Your family might like the Toyota Motors Factory tour, the best part? It's free! Your machine loving kids might really enjoy it. 17. Go and check out the Great American Doll House Museum, in Danville. The cost for children is $5. 18. Is your family full of music lovers? Go to for a visit to the Kentucky Music Hall of Fame, admission for children is $4.50 and adults are slightly more. 19. You could always go on a tour of the Kentucky Speedway, admission is free for kids and is $7.00 for adults. It evens out that way right? 20. Go and take in the beauty of Ashland, The Henry Clay Estate. Free admission for kids but adult tickets are $9.....average that out for your $5 or less option! 21. Take the family bowling at Fern Bowl in Louisville. The cost per person varies but it is never over $5 per person per game. Great specials! 22. The Living Arts and Science Center in Lexington is free and looks like great fun! 23. Go star gazing at the Hummel Planetarium at EKU. Kid admission is $5! 24. Check out the Kentucky Military History Museum in Frankfort. $2 for kids, $4 for adults. 25. While you are in Frankfort stay and check out the Thomas D Clark Center for Kentucky History. Kid tickets are $2 and adults are $4. 26. The Highlands Museum and Discovery Center in Ashland is worth the trip. $5 for kids, $6.50 for adults. 27. Did you realize that the National Quilt Museum is located in Paducah? Kids get in free with a paid adult admission. 28. Also in Paducah is the William Clark Market House, it is worth a stop. Kids tickets are free and adults are $4. 29. Head to Calvert City and check out the Apple Valley Hillbilly Garden and Toyland. It is free, which might be a good thing, I haven't formed an opinion just yet. 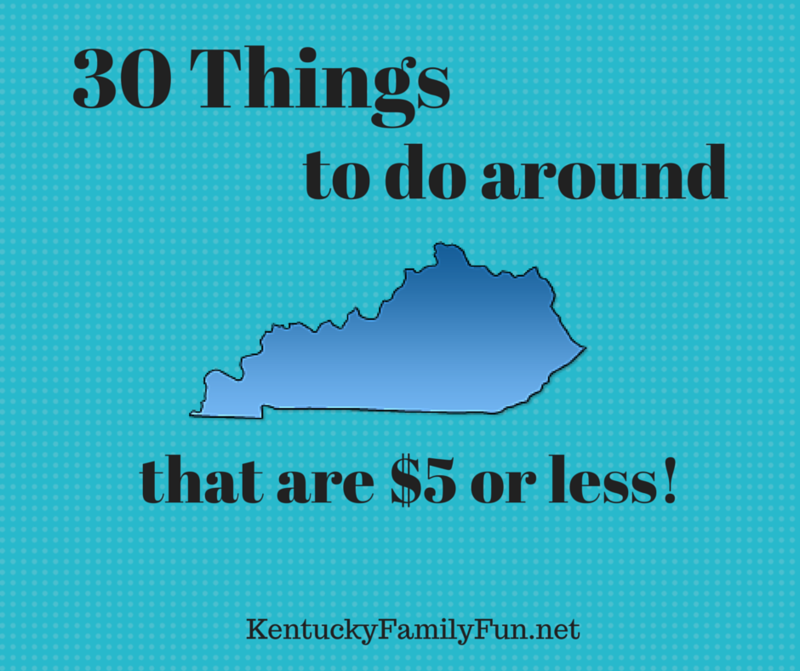 Those are just a few of the things that you can do together as a family affordably around Kentucky. What would you add to the list? Note: Prices and business details may change. Please check with the business for updates.